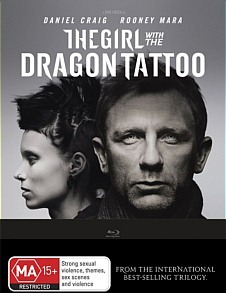 The Girl with the Dragon Tattoo Review. Whether you’re going to hate it or love it, David Fincher’s The Girl With the Dragon Tattoo is well worth viewing, if only to compare it to both the novels and the original Swedish versions. Unless you’ve been living under a rock these past few years or you’re Tom Hanks marooned on some far-off paradise then there is absolutely no chance that you have not been exposed to the phenomenon that is Stieg Larsson’s Millennium Trilogy. Published posthumously after his death in 2004, Larsson’s crime novels have spawned a critically acclaimed Swedish film series, while David Fincher’s film is the first of the three the English remakes. It is hard not to compare his piece with that of Niels Arden Oplev’s 2009 version, yet Fincher’s revision is highly original and can be viewed as a far more polished reworking of a story that has touched millions. 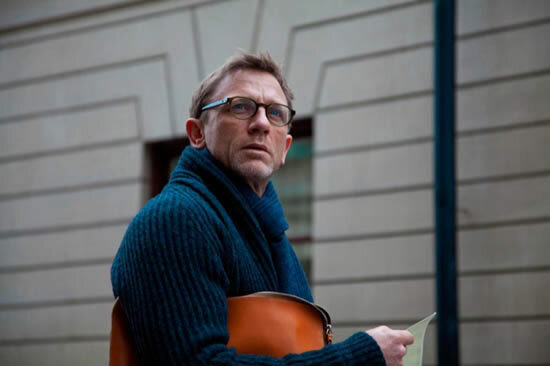 The film begins with disgraced journalist Mikael Blomkvist (Daniel Craig) after he is convicted of libel against a corrupt Swedish businessman. Resigning from his post as co-editor of Millennium magazine, Blomkvist is forced to take on a research case in order to pay the damages ordered by the court. The case in question concerns the disappearance of a young girl Harriet Vanger decades prior, with the Blomkvist’s benefactor Henrik Vanger (Christopher Plummer) believing that his niece was murdered by a member of his own family. Sifting through years of material and evidence, Blomkvist is forced to take on a research assistant and is recommended Lisbeth Salander (Rooney Mara), a computer hacker whose dark past prevents her from forming any long-term relationships or connections. Together the duo uncovers not only the mystery surrounding the disappearance of Harriet but also the skeletons within the Vanger family closet. The film and story is driven primarily by the unconventional relationship between Blomkvist and Salander, with the murder mystery playing second fiddle to the development of both characters. Daniel Craig is superb as the fallen writer and his interactions with the supporting characters are intense and well played. However, it is Rooney Mara’s turn as the tempestuous computer whiz that will have audience and critics astounded. Although her performance will forever be compared to Noomi Repace’s stellar embodiment within the Swedish trilogy, Mara manages to make the character wholly her own, with the vulnerability and youth displayed in the novels at the forefront of Fincher’s film. From the opening credits featuring Karen O’s (Of the Yeah Yeah Yeahs) rendition of Zed Zeppelin’s ‘Immigrant Song’ we are thrust into an entirely different world, far removed from the Swedish originals. Yes the budget was greater but Fincher manages to use every cent to his advantage, with picturesque shots of Stockholm, to the insular community of the Vanger family estate. What is particularly noteworthy for an American remake is Fincher’s exposure of the novel’s graphic violence with many diehard fans (this one included) feeling that the revision will be sugar-coated to fit the puritan values of the Western mass audience. Fear not for Fincher does not shy away from the nitty gritty and refreshingly does so in a manner that is relevant to the overall story. There are several drawbacks to David Fincher’s rendition, the chief being its oversaturation of production placement. You know its American when Blomkvist specifically asks for ‘Marlboro Reds’ or when Mara’s character is continuously surrounded by McDonalds papers and leftover Coca-Cola cans. Is it really necessary? The film played almost like a Bond work, which revels in its consumerism and does not feel any remorse for showing off the latest Omega watch or the new Samsung smart phone. Therein lies the difference between the present adaptation and the Swedish versions: due to budget constraints Oplev’s film is more raw and attuned to the basics of the novels. Fincher’s The Girl with the Dragon Tattoo preaches to the crowd with its intimate shots of the Blomkvist/Salander relationship and its preoccupation with trying to appear authentically Swedish, despite the English dialogue. There are a wealth of special features included on this Blu-ray release that almost make 4 hours of extras. From detailed commentary by Director David Fincher who helps put this Western remake in line with the original plus interviews, rehearsals, screen tests and everything you need to give you a great insight into this franchise and beyond. If you enjoyed the film or the novels, the special features truly add to this world wide phenomena. Audio and Video quality shine on this Blu-ray release with sharp images, vibrant colours and some wonderful cinematography of Europe. Audio is equally as good with its Dolby Digital 5.1 presentation. Whether you’re going to hate it or love it, David Fincher’s The Girl With the Dragon Tattoo is well worth viewing, if only to compare it to both the novels and the original Swedish versions. Although some of the dialogue is hard to catch and certain scenes lag, it is clear that Fincher knew what his audience wanted and he delivered. Here’s hoping that the critical success will not go to his head and that the following two films will be just as thrilling.